On June 1, Thomas Chobat transitioned to his next stage of life after 10 years and 5 months of hard work with Kalas. We are grateful for his time and commitment through his years and are delighted to share a little about him to celebrate his time here and who he is. His positive mindset also significantly influenced the joy he got from his role. Thomas enjoyed fixing the continual problems that arose because they posed different puzzles each day. In his words: “As an electrical guy, I like to solve puzzles. This makes every problem unique and a challenge. Every day has been a tremendous learning curve.” What a great way to view electrical and mechanical work! Thomas has a lot of plans for his retirement. First, he has the gift of a family to care for. He knows we will spend time caring for his now 95-year-old father and looks forward to “chasing around” his one-year-old grandson. Outside of time with his family, he an avid runner and excited to spend more time running. Long distance running is a passion he’s had for 45 years, completing 35 marathons to date! In the past 10 years of his running career, he’s begun taking an interest in Ultra Running where distances are longer than the standard marathon length of 26.2 and can range up to 200 miles mostly occurring on mountain trails! So far Thomas has already completed 30 of these types of races and desires to keep going for more. Beyond that, he’s planning to continue coaching young and beginning runners at the local school. “And then, of course, there’s the honey-do list. Suffice it to say that I expect to stay busier than I have ever been.” Thomas says. With all of his interests, his heart for people and the mindset he brought to work for the past 10 years, we have no doubt Thomas will do exceptionally well in his new season of life post-Kalas career. 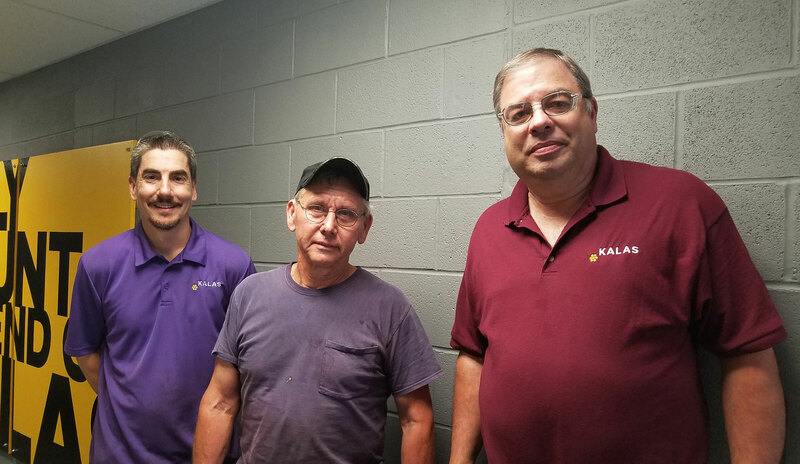 We at Kalas are very excited for him and bitter-sweetly saying goodbye to such an exceptional individual we had the privilege of employing for a decade of his spirited life. Join us in warmly thanking Thomas for his time and wishing him all the best as he goes to richly enjoy and impact his world beyond these walls. Thomas, we wish you the best and are incredibly grateful for your years here! 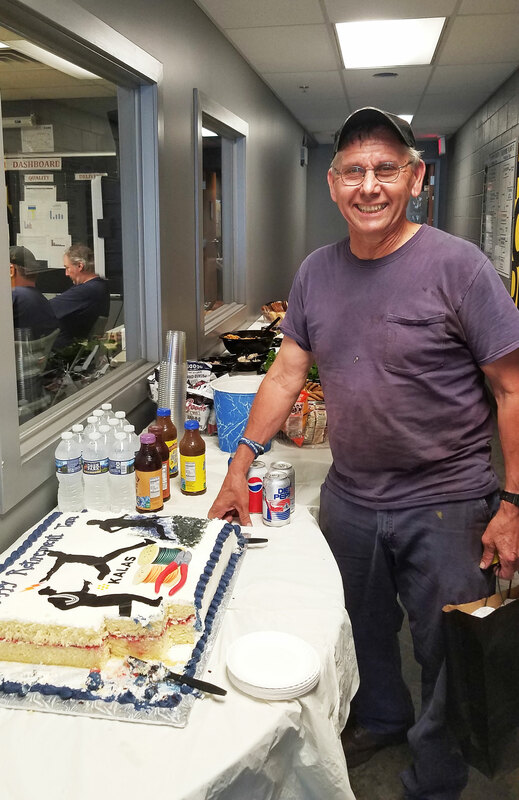 Enjoy these photos below from Tom’s June 1 Retirement party.